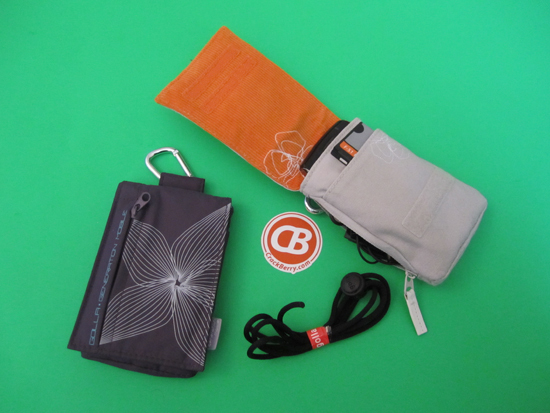 Review: Golla Smart Bags - Enter to win one for your BlackBerry! Enter to win a free Golla Bag of your choosing! Details below! If you find yourself walking frequently, as I do, you know it can sometimes be a hassle to juggle your BlackBerry, keys, wallet, mp3 player (if you don't use your BlackBerry as one), and whatever else you need while you're out. It's not always practical or possible to carry a purse or shove all of that in your pockets. 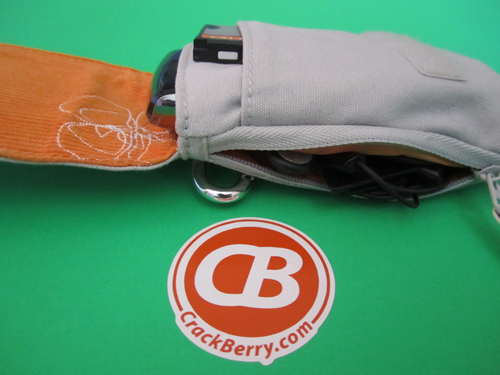 I've always looked at the Smart Bags by Golla on ShopCrackBerry, and finally decided to get a couple and try them out. I picked out two different styles, the Sabine and the Riley, which are actually pretty similar but have subtle differences, which is true for most of the Golla Bags we carry. Read on for a closer look at the Golla bags and to see how you can win one of your very own! Each of these bags follow the same general design. A main compartment holds your device, a slimmer pocket in front of that and a zipper pocket on the outside can hold cash or cards, a spare battery, keys, a Bluetooth headset, earbuds… anything small that you need to carry with you. Each style of bag is made of a different material. The Sabine bag I got is made from a smooth material that I think would wipe clean if needed. The zipper pocket on this style is on the flap. The Riley version is made from a softer, brushed material with corduroy inside. This one features the zipper pouch on the back, which seems to be able to hold more than the pocket on the Sabine style. 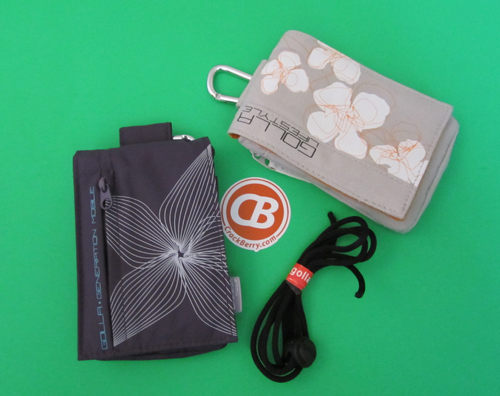 All of the styles have a belt loop and a D-ring clip and comes with a lanyard if you prefer that method. The velcro closure of the bags is strong and doesn't come open when you don't want it to. I really love these bags and use them both quite often, for my BlackBerry Torch, digital camera, iPod…whatever I need to take with me. I like to put my camera in one and toss it in my purse as it ensures that the camera doesn't get banged up or turned on unintentionally. 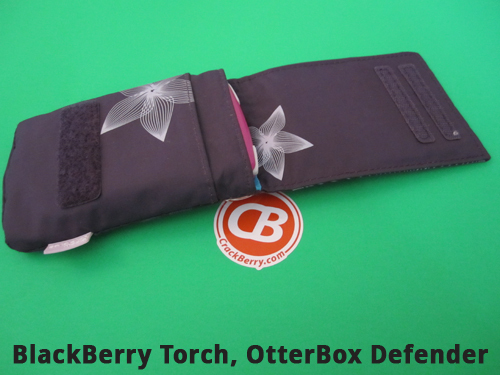 They are a really universal size, and my Torch fits inside easily even with an OtterBox case on, as you can see below. This fact alone is awesome, because if the Torch with an OtterBox fits in with no problem, then future devices will as well, since they seem to be getting slimmer. There are a lot of different styles of Golla Bags to choose from on ShopCrackBerry, and they all sell for $19.99 regularly, though they are currently on sale for $14.95 and $16.95 depending on the style. And yes, there are styles more suited to the guys as well. 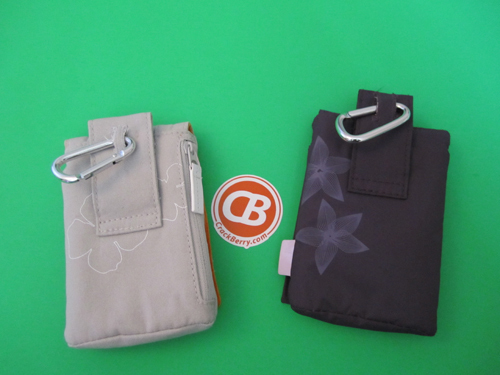 Carabiner for attaching the bag in a variety of places: belt loop, bigger shoulder bag or backpack, golf bag, etc. Want to win a Golla Bag of your very own? Take a look at the selection in ShopCrackberry, then leave a comment below stating which one you want and how or when you would use it. We'll choose one lucky winner from the comments this Sunday at midnight PST. Good luck!